Hendrik set out to make a splash with his inaugural line, and the Favoritos was his launching pad. The vitola uses a Dominican Cotuí wrapper, a leaf Kelner describes as a “family reserve tobacco” that is being grown by his sister, Monika Kelner, at her family farm and for use exclusively at Kelner’s factory. The filler is 60 % Dominican , 20 % Nicaraguan and 20 % USA Broad Leaf. The wrapper is 9 year old Dominican Cotuí. The binder is Bonao, which adds a little spice. This is a medium body smoke, very balanced with pleasant sweet notes, the strength level is from Mild to medium. "The Favoritos is my favorite size and is more like an every day smoke but with a very unique taste and nice, balanced strength,” says Hendrik. Each of the four vitolas will produce a completely different, and therefore unique, smoking experience. Wrapped in a Brazilian Cubra leaf, which Hendrik describes as “beautiful, with great flavor”, this classic robusto provides a stark contrast to the Favoritos. An interesting cigar, it keeps you intrigued and provides a complex smoking experience. It's balanced but it surprises you with unexpected notes. The strength is medium and the body is mild to medium, providing a one-of-a-kind flavor profile. The filler is 40% Dominican, 40 % Nicaraguan and 20% Peruvian Pelo de Oro. The binder is a hybrid seed Cuban and Dominican combination. This particular blend is "very good" according to Hendrik, but ever the perfectionist, he and his team are working to develop what he calls “the one blend” they all like. “It will be exceptional,” he adds with a smile. While the Favoritos is Hendrik's favorite, the Toro Magno may end up being the flagship of the line, as he says it is the best so far, a “great tasting, elegant cigar.” Its size is popular with a number of cigar smokers, something Hendrik feels will make it that much more attractive. The Toro Magno, like the Robusto Imperial, will be wrapped in a Brazilian Cubra leaf. The blend is comprised of 40% Dominican, 40 % Nicaraguan and 20% Pennsylvania tobaccos . This vitola has a double binder of Dominican Cotuí and Condega Nicaragua. This elegant cigar is very consistent, balanced, with nice dark cocoa taste and nutty edge. Strength is medium and body is medium up. The Short Robusto is the "wild one" of the line – "indescribable,” according to Hendrik, adding that “there was some experimental blending, and it took a long time to develop.” While he heaps praise on the vitola, he is quick to say it may not be for everyone. The true connoisseur will; however, revel in the subtleties. This medium strength and medium up-body smoke, has a filler of 60 % Dominican, 20 % Nicaraguan and 20% Kelner Family Reserve tobacco. The wrapper is a 9 year old Dominican surprise surrounding the same double binder combo found in the Toro Magno. Very complex, yet delicate taste, a delicious cigar that keeps you coming back for more. With respect to the name, Hendrik says he always had an affinity for smoking jackets, “a long lost tradition of elegance and good taste,” he says. “I wanted to create a cigar brand everyone relates to, not a strong last name or a forced title, but (like the iconic cigar garment itself) a brand everyone feels is their own.” The brand logo, centered in a gorgeous red shield, are the lapels of a smoking jacket. Smoking Jacket Cigars wishes to recognize the contributions of Patrick Lagreid, author at halfwheel, the industry's cigar blog. 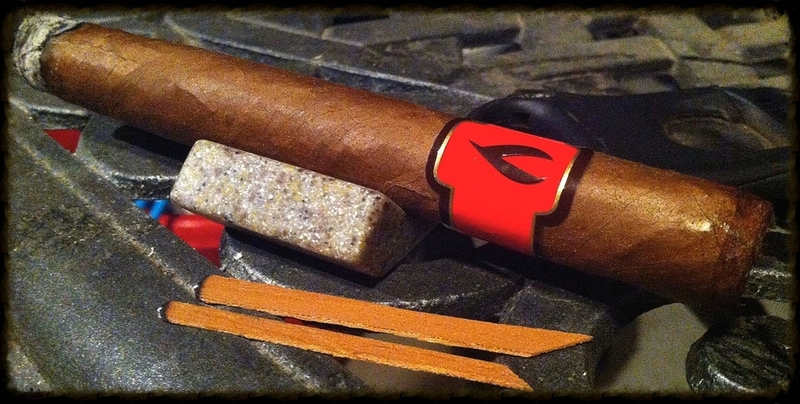 Patrick's review of the Smoking Jacket Cigar inspired the write-ups for the individual vitolas. Thank you, Patrick!